This past week brought many new insights on my path to inner wisdom. As I am learning to watch for the signs and sounds of 'Godwinks', the messages seem to be appearing all around me. Validations for my art in the form of new commission requests, guidance for the direction a new idea should take, as well as notes of 'Thanks' for something I said or did have been coming to me on an almost daily basis. I find it miraculous. I subscribe to the daily messages from 'The Universe' in my email box. Reading the message each morning really helps me focus my attention on the positive side of life and that in turn seems to be bringing blessings my way and leading me on the path toward the fulfillment of my wildest dreams. "I was just sitting and reading my newly arrived copy of American Quilter's magazine when on page 52 I noticed something---hey, that looks like something done by someone I know. 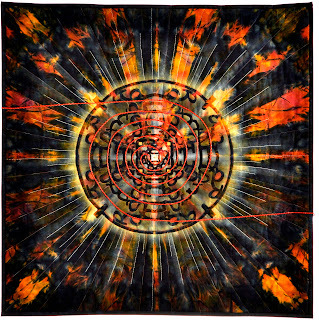 I continued looking and then under that picture of a 36" square quilt I saw the name Kasia. 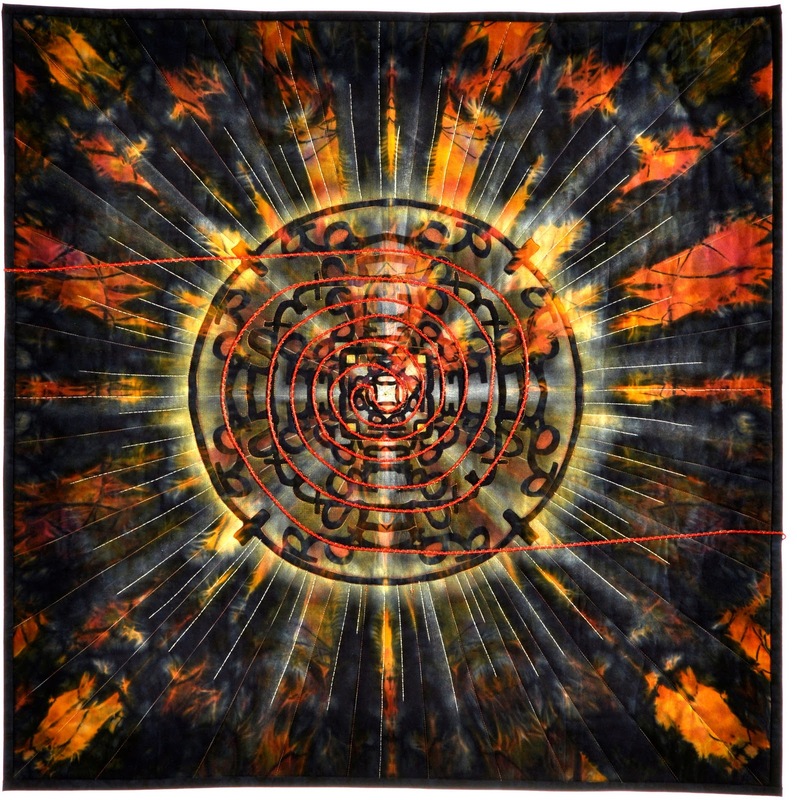 Did you win a first place award for Milwaukee Art Quilts--------called Connecting the Threads? Right name, right look--and I am so proud to know you." You can only guess at my surprise and amazement! This answer to my prayers is a 'baby step' along the path of my dreams. I am learning that the bigger I can DREAM, the grander are the miracles that keep coming my way. I am living proof that it works! And if it can work for me, it most certainly will work for you too. So I ask you, "What is your wildest dream?" Care to share? Until next time ~ Live Your Light!